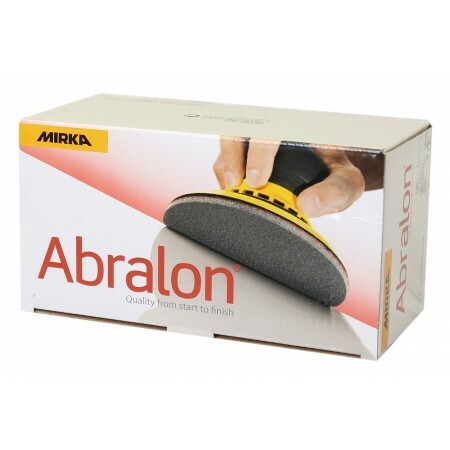 Mirka Abralon 77 mm is a foam backed multifunctional sanding material developed for tackling both smooth and profiled surfaces. Its patented, flexible construction allows it to create a smooth sanding pattern on angled surfaces and edges while minimising the risk of pressure marks. The flexible weave also allows water and air to pass freely, making it suitable for both dry and wet sanding, by machine or by hand. Abralon is also suitable for the finishing and pre-polishing of gelcoat, SMC, glass reinforced plastic (GRP), Lacquers, etc.